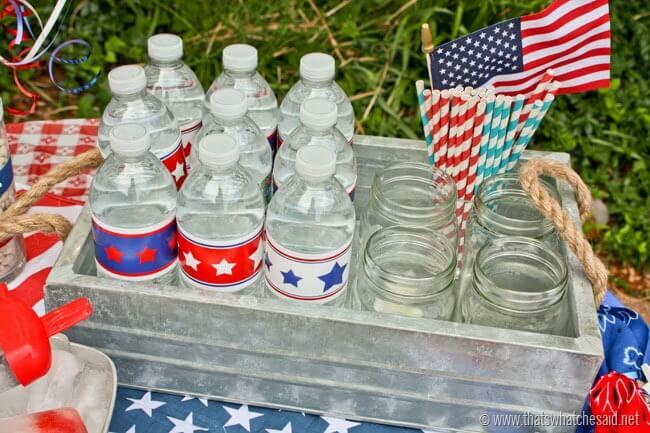 Do you host a Memorial Day, 4th of July, Flag Day or Labor Day Party? Do you attend any of these said parties? Labor day festivities? 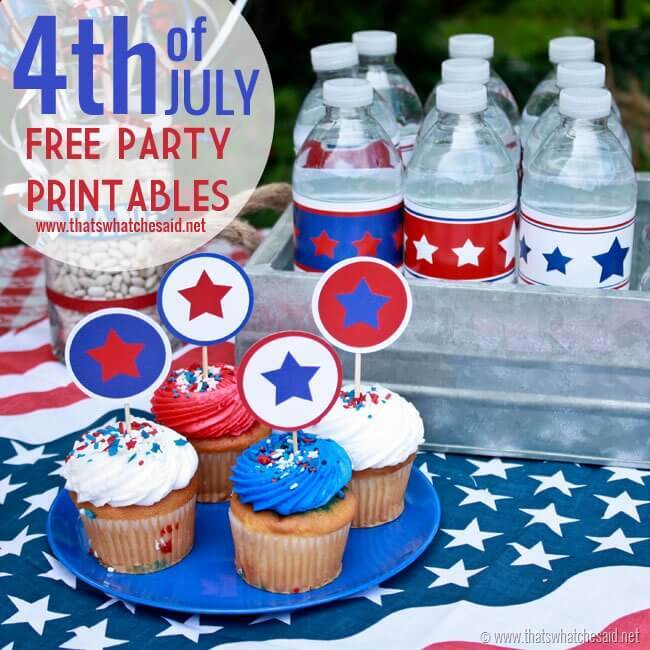 If you love patriotic summer holidays as much as I do then you will want to print off these FREE Patriotic Party Printables for your next get together! Whether you are hosting or attending they are super fun and festive! For my FREE Patriotic Party Printables, I kept them red, white and blue and with stars so that you could use them for Memorial Day, 4th of July and Labor Day as well! 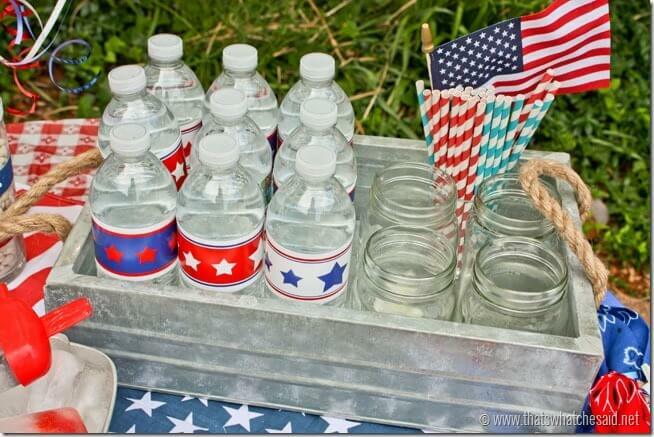 For the Water Bottles, all you have to do is print them off and cut them into strips! I used a little clear scotch tape to hold them in place! I like to use Bright White Glossy Text paper for these. That type of paper really holds up the best and keeps vibrant colors! Just ask for it if you print at an office supply store! 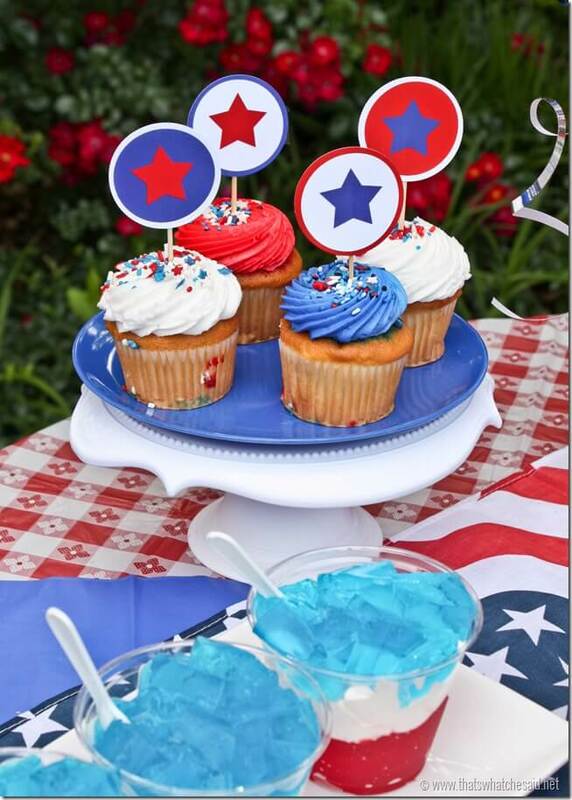 Jazz up homemade or store-bought cupcakes with the cupcake toppers! 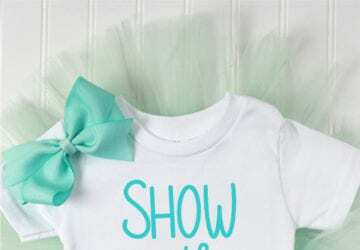 Simply print on Bright White 80# Cardstock and then either cut out by hand or use a 2” circle punch to punch them out! Attach to a pick with some tape and you are all set! These picks also work great for cheese cubes and fruit chunks! 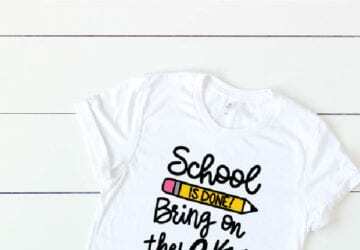 As always, these printables are free for personal use only. If you would like to share that’d be super duper awesome! 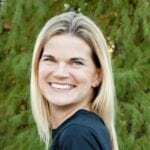 Please share with a link back to this post! To download these Patriotic Party Printables, simply click the download button below. New members may enter their name and email to access the file or returning members may enter the password. New members will be emailed a password for future use and to access my Freebie Library. How About a Smoothie…Shaken, Not Stirred! 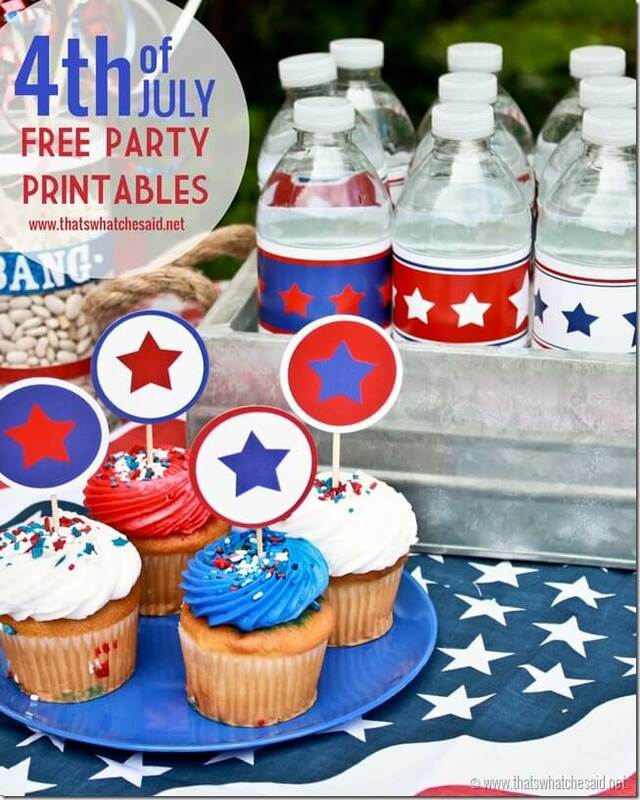 Love these party printables for the 4th, Pinning!